If you would like to receive more information, fill out the form using the link below and you’ll be sent more materials. This link may be used at any time during the year. Materials such as the Frequently Asked Questions and YAV palm cards are also available in both Spanish and Korean. If you are interested in hosting a local gathering of youth pastors, young adults, youth groups, etc., a visit can be arranged through Blake Collins, the associate for recruitment and relationships with the YAV program, at blake.collins@pcusa.org. Below are the recruitment d ates for the current 2017-18 application season. 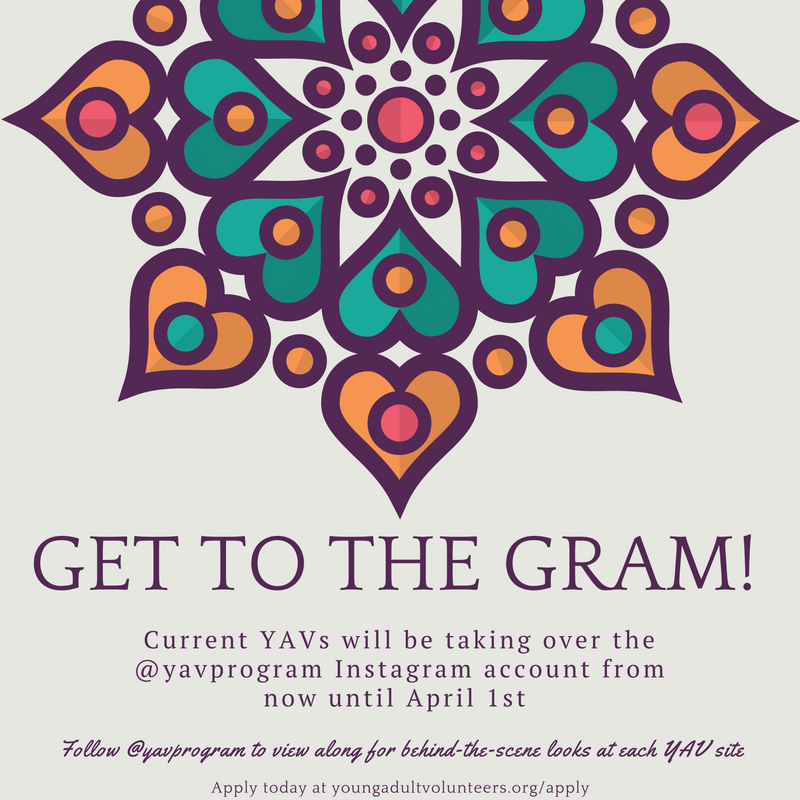 The YAV application can be accessed here. 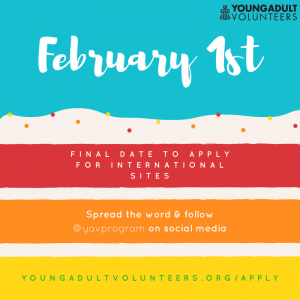 Also, following @yavprogram on all major social media platforms (Facebook, Twitter, Instagram) is a great way to receive up-to-date announcements. 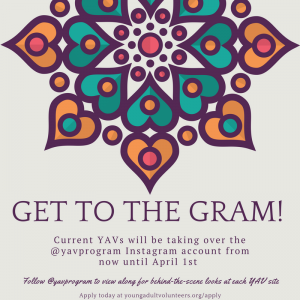 Right now current YAVs are taking over the Instagram account for behind-the-scene views at each site. 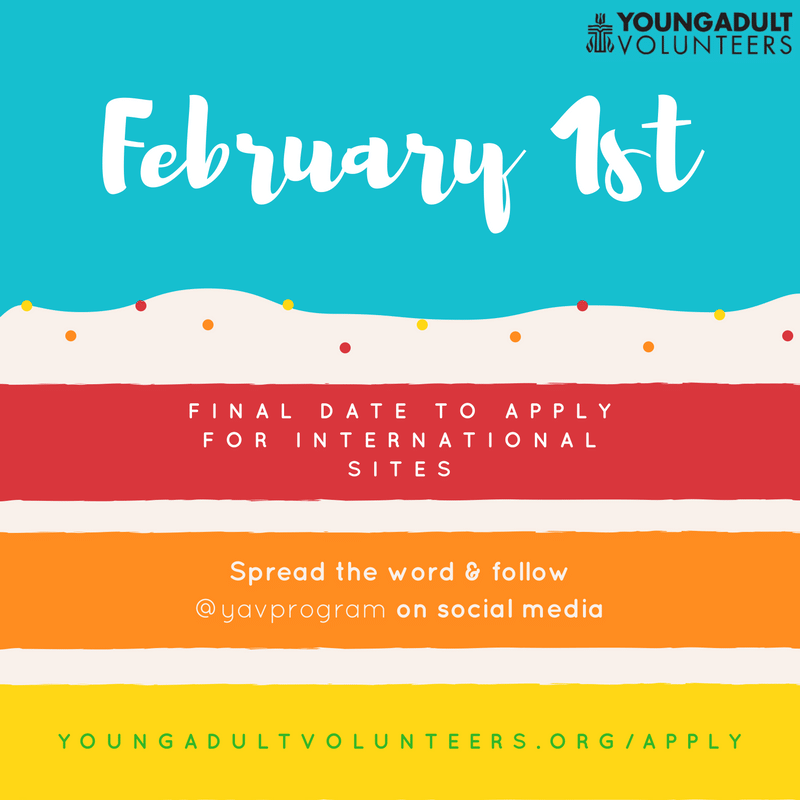 This is a great way for potential candidates to receive an unfiltered view into a YAV year. Finally, a short (three-minute) promotional video can be accessed online here. Please share!